Alpha-gal allergy was first described in a few patients in 2009. Within 5 years it had become evident that they were only the tip of the iceberg. Alpha-gal allergy has a prevalence of thousands in some parts of the US and Europe. 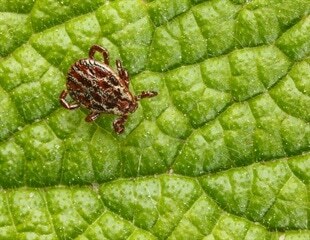 New research has shown that the risk of developing a red meat allergy after being bitten by a tick may be much higher than scientists had thought. An increase in the Lone Star tick population since 2006, and the ability to recognize the ticks as the source of "alpha gal" allergy to red meat has meant significantly more cases of anaphylaxis being properly identified. While rare, some people experience recurrent episodes of anaphylaxis--a life-threatening allergic reaction that causes symptoms such as the constriction of airways and a dangerous drop in blood pressure--for which the triggers are never identified. Experts believe that the lone star tick is responsible for the meat allergies people are developing in South-eastern states including North Carolina, Tennessee and Virginia. The ticks are spreading up the Eastern seaboard to new locations, where they are triggering allergies after just a single mouthful of meat is eaten. Meat lovers living in the central and southern regions of the country might be opting for a vegetarian lifestyle if meat comes with an unwanted side of a life-threatening allergic reaction. According to a study presented at the Annual Scientific Meeting of the American College of Allergy, Asthma and Immunology (ACAAI), the lone star tick inhabiting these regions is the primary reason for what's known as a meat induced alpha-gal allergic reaction.